If a “lo-fi hip-hop” tribute to The Legend of Zelda’s greatest musical hits sounds like an odd fit for the series, it might not be. Take a look at the past few entries in the series, leading up to and including Breath of the Wild, and you might notice that the franchise has been getting progressively more eclectic over time. In an age where future-fantasy and high-fantasy go together like chocolate and peanut butter, only the wildest hybrids can stand out from the crowd. Hence, Zelda trip-hop. 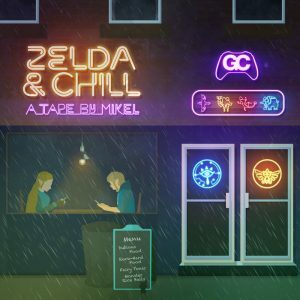 The question is: how Zelda, and how chill, can Mikel and GameChops go? 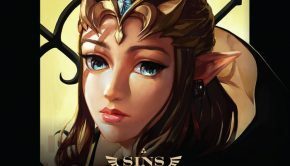 Zelda & Chill has trip-hop written all over it. Just about everything on offer here buzzes, bends, clicks, quivers, or sounds like it’s coming from the neighbor’s sound system through the wall. Electric keyboard and bass reign supreme, but they don’t seem to notice. Or care. Neither will listeners, because the sound is so mesmerizing that it vanquishes logical thought. That just about takes care of the & Chill side of things. As for what’s on the menu Zelda-wise: “Fairy Fountain” has never sounded dreamier (or drowsier), and “Dark World” couldn’t sound any lazier or further removed from its epic overworld counterpart. 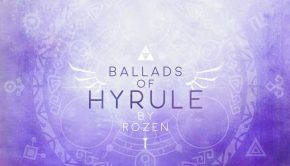 That muted tone is par for the course in Zelda & Chill, and it’s so consistent across the album that the one moment where it breaks – with some bright organ and chimes in “Legend of Zelda” – feels stranger than the direction of the album itself by far. Of course, it wouldn’t be a Legend of Zelda greatest hits cover album if Ocarina of Time didn’t eat up a third of the album’s real estate. 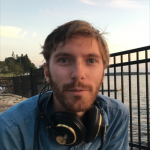 “Lost Woods” remains catchy as ever even as it softly fizzes and crackles, and “Song of Storms” sloshes about to the beat of Link from Breath of the Wild cooking up a storm. “Minuet of the Forest” ditches the ephemeral grace of the original for an extended accordion-backed romp, while “Gerudo Valley” plays out like a deflated ghost of the driving desert anthem it once was. So, as usual, Ocarina of Time dominates. The album even ends with a jam to the tune of Ocarina of Time’s title screen theme. That said, each of the other 3D Zelda game soundtracks gets a little time to shine. “Oath to Order” comes across even more ghostly and ethereal here than it did in Majora’s Mask, while The Wind Waker’s “Dragon Roost Island” feels even more cartoonish in its dopey new arrangement. Twilight Princess’s version of “Kakariko Village” clucks along with kalimba and stray whistled harmonics. Skyward Sword’s “Ballad of the Goddess” is still uplifting, and even manages to sneak in some harp glissandi. 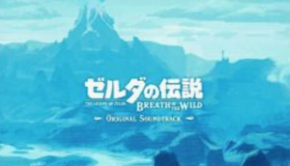 Rounding out the bunch, Breath of the Wild’s “Breath of the Wild” shuffles along in a deep melancholy, while “Hateno Village” brings back the trills from its source material to set a groovier mood. Zelda & Chill is one part Zelda and one part chill, so you definitely get what you pay for. It’s not comprehensive or overly ambitious, but it’s well rounded collection that offers one of the freshest perspectives on Zelda music to date. And in an age where Nintendo continues to tweak its vision for the series, left-field tributes like Zelda & Chill may not actually be an odd fit after all. Posted on January 24, 2019 by Reilly Farrell. Last modified on January 24, 2019.